Apologia Pro Literati Vita: A Presidential Speech: Worthy of Marble? A Presidential Speech: Worthy of Marble? Rhetoric is among the oldest and most venerated of Western traditions. The ability to express yourself well and persuade your audience has been the mark of a great man since Achilles railed against Agamemnon. Training in the rhetorical arts has formed the center of all education for just as long. History is decorated with the speeches of great orators and literature with their speeches. Some of these men were great and laudable, others great and terrible. All wielded considerable political power. 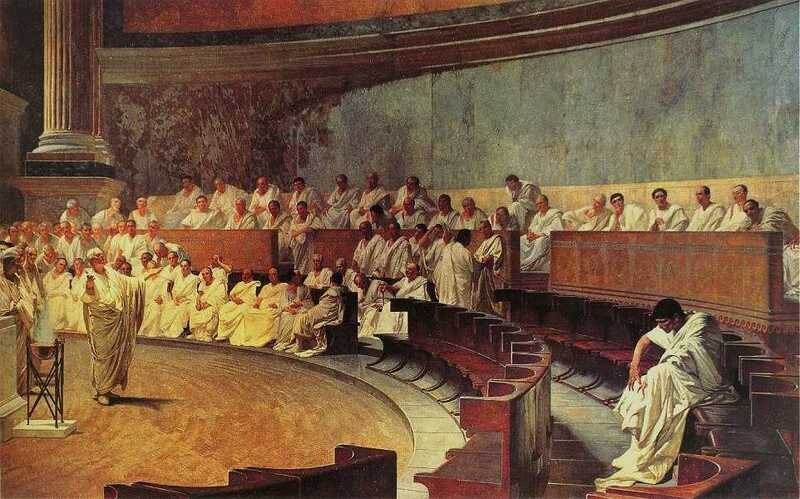 Beyond a doubt Demosthenes and Cicero dominate the field of orators and their speeches all rhetorical works. Likewise Aristotle's On Rhetoric and Quintilian's Institutio Oratoria hold prime place amongst treatises on the craft. Against these men and works all other speakers and speeches are judged. Now it would be legitimate to compare any speech to one from Cicero and Demosthenes and to see how it measures up to Aristotle's or Quintilian's standards but it would also be more than a little obtuse and less than a perfect indication of the speaker's success. We must, then, have two criteria: the quality of the speech and the success of the speaker. A perfect speech does not exist in a vacuum rather it must be tailored both to the intended audience and the speaker as a line of dialogue in a film is suited both to the character who speaks it and the audience to whom it is meant to affect. The actor Satyrus educated Demosthenes himself on this point by having the aspiring orator recite a poem and then reciting it himself, attuned to the context of the character and situation. 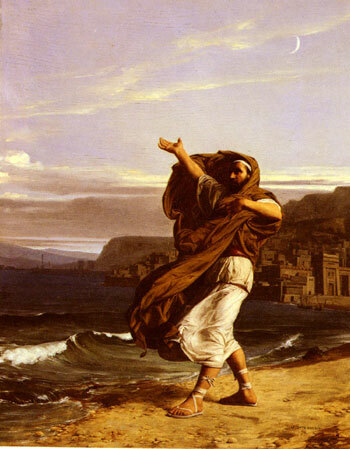 Plutarch relates a story in which Demosthenes, when asked about the most important aspects of oratory, replied, "Delivery, delivery, and delivery." A speech then is appropriate to the speaker, the audience, and the occasion. We ought to pause and reflect on the audience for a moment. Assuming as we do that the author of the speech (and we must separate the speaker from the speechwriter since some great writers like Lysias wrote for others) is a great writer and the speaker a great speaker we must assume that what they offer is what they think will persuade the audience. Should a speech be elevated or plain, original or traditional, complex or simple, we must assume the speaker thinks such will please the audience. A speech, then, distinctly reveals the speaker's opinion of his audience. Today's speechwriter carries a heavy burden, then, but it is in fact heavier still since he must consider not only the Classical speeches and treatises, the speaker, the occasion, and the audience, but all famous speeches throughout literature, from Homer to Shakespeare. Too he must consider modern political speeches from Washington to Churchill. Thus when a modern speech is referred to as "worthy of marble" we might grow curious: the speech in question, the 2009 Inaugural Address, must be extraordinary. Such praise inspired me to be especially critical since such a statement starts to step on the toes of dear Demosthenes and Cicero. At times we may appear to be too critical, but some speeches can stand up to such criticism thus I don't think it unreasonable to subject a highly-regarded modern speech to the same standards. I would note that I won't be commenting on the truth of statements though we may reflect on interesting turns of logic as means of persuasion. I decided to look at this speech only because of the praise lavished upon the President as an orator and on this speech in particular. As such, this analysis is not meant to be a commentary on the President in any way other than as an orator. In fact it is as much if not more a reflection on the speechwriter. Let us take a look, then, line by line. You can read and listen to the speech here at American Rhetoric. I stand here today humbled by the task before us, grateful for the trust you've bestowed, mindful of the sacrifices borne by our ancestors. I thank President Bush for his service to our nation, as well as the generosity and cooperation he has shown throughout this transition. A fairly standard "thank you." He establishes the continuity of government and society with, "forty-four Americans" and "forbearers" and "founding documents." Some of this seems a little clunky and repetitive: "have now taken," "have been spoken," "has carried," and "have remained faithful." The phrase "Have now taken" has set him on an awkward path to maintain consistency. The tidal and storm comparisons are simple and cliché. He appeals to the people as being one of them, distancing himself from the fact that he occupies a "high office." "So it has been. So it must be" is much more formal and nearly striking but diminished because the segue is awkward and the segue is awkward because of the tense. The phrases "have been" et cetera keeps us rooted in the present looking at the past. This of course distances us instead. "So it has been" is then parallel. "So it must be" is meant to break the parallelism because the picture of the past is not clearly drawn. Most of the description, in fact, is taken up with weak verbs like "have been" and clichés. Nothing specific has been mentioned. Another inelegant tense use and phrasing: "that we are in is. . ." and " is now well. . ." Finally the present tense follows. Two features appear again which will dominate the landscape of the speech: a preponderance of commas/pauses and a lack of specifics. The war is "against a network" not against anyone in particular. The distance from the people at war is increased by the fact that he doesn't even use any word for them at all, but merely refers to what they do, "violence" and "hate." Interestingly he uses "far-reaching" which emphasizes their reach but not their strength. Our economy is badly weakened, a consequence of greed and irresponsibility on the part of some, but also our collective failure to make hard choices and prepare the nation for a new age. Homes have been lost; jobs shed; businesses shuttered. Our health care is too costly; our schools fail too many; and each day brings further evidence that the ways we use energy strengthen our adversaries and threaten our planet. More inelegance with "is badly weakened." More vagueness follows: some people did something bad and everyone failed to do something else. What does "prepare the nation for a new age" in fact mean? How does it relate to the previous or succeeding thought? The first actual rhetorical devices follow in the form of asyndeton (lack of expected conjunctions): "Homes have been lost; jobs shed; businesses shuttered." He follows with another, hyperbole: "each day brings further evidence." The phrase "that the ways we use" is again inelegant. A very pessimistic paragraph. These are the indicators of crisis, subject to data and statistics. Less measurable, but no less profound, is a sapping of confidence across our land -- a nagging fear that America's decline is inevitable, that the next generation must lower its sights. The next sentence treats the last paragraph as an argument: he has established we are in a crisis. "Subject to data and statistics" is a peculiar addition. What does it precisely mean? It sort of implies that the data might suggest a threshold for a crisis, but it is unclear. They function to make what precedes appear quantifiable and practice and what follows to be somehow spiritual. What follows is quite clever. Sapping is visceral and effective here, though the gerundial treatment is too lengthy to achieve a strong, concerted impact. Then we get "decline," really out of nowhere. It is wholly unprepared and we go from "crisis" to "decline." How can the fear be nagging if the fear is new? The fear can only be nagging if the decline is in the past and has been perceived and the crisis is present, yet he seems to be suggesting that the crisis is what would precede the decline (if we don't do what is necessary to avoid it.) It would not make sense to suggest that one has a nagging fear that the country is going to decline at some point in the future at some particular threshold, which would require present indicators of decline which would constitute said decline. The direct address is meant to bring him closer to the listener again, to come back to him after all of the frightful talk of crisis and decline. This is all quite vague but reveals a few interesting things. First, it is merely an expanded way of saying "you voted for me and my ideas." Second, "On this day we gather" ignores that there were people gathered who did not support him. Here, then, he is only addressing his supporters. He also sets up some strange dichotomies: hope will lead to success and not fear, that having different purposes leads to conflict. These are of course not well-accepted or even intuitive contrasting pairs and he does not argue for them but rather asserts them. None of the "petty grievances" et cetera are named. We remain a young nation, but in the words of Scripture, the time has come to "set aside childish things." The time has come to reaffirm our enduring spirit; to choose our better history; to carry forward that precious gift, that noble idea, passed on from generation to generation: the God-given promise that all are equal, all are free, and all deserve a chance to pursue their full measure of happiness. "We remain a young nation" is slightly out of place here since he is about to talk about founding documents and of course though the nation is old that it is governed by these same documents and has been for hundreds of years makes it in fact considerably older than many in this respect. What childish things is he talking about? We went from "faithful to the ideals of our forbearers, and true to our founding documents" to "put aside childish things." He never names the bad ideas, but goes on to mention the three fundamental freedoms of America slightly modified. Instead of "life, liberty, and the pursuit of happiness" we have "all are equal," "freedom," and "full measure of happiness." This is a simple but effective passage, despite the vague "reaffirm." Again there are no specifics. We don't know how we're going to "reaffirm" anything. He uses no specific examples of events, people, places, or professions. There is no distinct picture. It is meant to praise hardworking, non-famous Americans but is vague to the point of being un-affecting. It desperately needs examples, which follow. Yet the fact that they follow makes this paragraph float adrift. We begin to feel the speech lacks a large-scale structure to relate ideas and create a fluidity which carries us through. These sentences are carefully constructed to suggest 1) all Americans are immigrants, 2) to praise both urban and farm workers, 3) praise both farmers and slaves, and 4) a praise all military service. It also sets up a causal relationship of service: they did what they did for us. As we see in many other places, this needs something to persuade us. Perhaps he could have addressed them or utilized an abrupt pause? Might not that have been affecting here? Again, we feel like we are being told facts when we should feel like we are being drawn into a narrative. The two parts of the second sentence are not logically connected: they worked hard because they didn't believe in "the differences of birth or wealth or faction?" If delivered in a rapid, excited, or emotional manner it could function an anacolutha, i.e. a breaking off in the structure for dramatic purpose, in this case to enhance the fact that the "differences of birth or wealth or faction" are meaningless and older generations were great and America is great for not considering them. It is also a light polysyndeton (the use of excessive conjunctions.) If delivered straightforward it merely seems a mistake. What journey was that? Carrying forward the "noble idea" and working for the next generation. What follows is an assertion of power and an assertion that America's problem is one of will and not any tangible force. As before, the ill forces are ill-defined. For everywhere we look, there is work to be done. The state of our economy calls for action, bold and swift, and we will act -- not only to create new jobs, but to lay a new foundation for growth. We will build the roads and bridges, the electric grids and digital lines that feed our commerce and bind us together. We will restore science to its rightful place, and wield technology's wonders to raise health care's quality and lower its cost. We will harness the sun and the winds and the soil to fuel our cars and run our factories. And we will transform our schools and colleges and universities to meet the demands of a new age. The opening phrase is effective, the two halves "everywhere we look" and "there is work to be done" of equal syllables. The parallel uses of "we will" emphasizes action with more specifics than before in the speech. The couplet makes concrete the assertions. This is an interesting bit of logic. He gathers his critics into one group and says their criticism amounts to being short-sighted and ignorant of American's greatness. This clever turn of logic would have been made much more powerful had he followed with any example. Too it is of interest to note that he cites what the country has done as an example that great things can be done and ascribes the success of those things to imagination and unity but not the actual skill it took to do them (whatever it was.) This is the essential logic of the speech. We will see it play out again later: communism and fascism were defeated not with tanks but alliances. Nuclear dangers will be avoided "with allies." More interesting logic here. He again bypasses any negative ideas or criticisms: "they no longer apply" and "the question we ask to day is not. . ." This paragraph is somewhat awkward insofar as it alternates between extremely brief phrases like "programs will end" and a very casual style, "jobs at a decent wage," "care they can afford," ". . . that is dignified," "reform bad habits." These are very familial virtues. The paragraph concludes with an interesting bit of logic: accountability will restore trust. Not virtue or success but accountability. Nor is the question before us whether the market is a force for good or ill. Its power to generate wealth and expand freedom is unmatched, but this crisis has reminded us that without a watchful eye, the market can spin out of control. The nation cannot prosper long when it favors only the prosperous. The success of our economy has always depended not just on the size of our Gross Domestic Product, but on the reach of our prosperity; on the ability to extend opportunity to every willing heart -- not out of charity, but because it is the surest route to our common good. This paragraph is unremarkable in terms of style but it contains another interesting bit of logic: it equates spinning out of control with crisis and crisis with favoring only certain people. It too is vague, though, insofar as it doesn't mention the manner in or mechanisms by which anything occurs or has occurred. As for our common defense, we reject as false the choice between our safety and our ideals. Our Founding Fathers -- Our Founding Fathers, faced with perils that we can scarcely imagine, drafted a charter to assure the rule of law and the rights of man, a charter expanded by the blood of generations. Those ideals still light the world, and we will not give them up for expedience'[s] sake. And so to all the other peoples and governments who are watching today, from the grandest capitals to the small village where my father was born: Know that America is a friend of each nation and every man, woman, and child who seeks a future of peace and dignity. And we are ready to lead once more. We see still more pairs of ideas: fascism and communism, missiles and tanks, alliances and convictions. Again too is the "neither. . . nor. . . but rather. . ." construction. It is also interesting to argue that security, security in particular, emanates from righteousness. Does it? Being righteous may make you many things, but secure? Too, why does "prudent use" increase your power? Prudent use might do many things, why this in particular? They understood neither e nor f was true. . . Instead they knew g, h, i, and j. First, he throws too much out here which makes the paragraph border on being simply a list of assertions. Instead of building the third statement off of the second the sentences should have been kept parallel. The third clause begins "instead" despite the fact that the sense is the same as the preceding sentence, i.e. that earlier generations knew something. It should simply begin, "they knew." Obviously this is not a mistake but rather a deliberate, albeit sloppy, attempt to create a climax. This passage has the material ("earlier generations," "convictions") for a climax (lit. "ladder") and it would have been effective here more strongly to link the ideas. A climax here would have increased tension by provided a clear (and convincing) path from earlier generations to today and suggested the timelessness of the convictions. It should have concluded with "enduring convictions" which would have flowed nicely into the next paragraph. We are the keepers of this legacy. Guided by these principles once more, we can meet those new threats that demand even greater effort -- even greater cooperation and understanding between nations. We will begin to responsibly leave Iraq to its people, and forge a hard-earned peace in Afghanistan. With old friends and former foes, we will work tirelessly to lessen the nuclear threat, and roll back the specter of a warming planet. We will not apologize for our way of life, nor will we waver in its defense, and for those who seek to advance their aims by inducing terror and slaughtering innocents, we say to you now that our spirit is stronger and cannot be broken. You cannot outlast us, and we will defeat you! This introduction is effective despite the poor preceding climax. "Once more " implies the principles were dropped. This whole paragraph is a much more effective building of tension and climax with smooth transition from sentence to sentence and thought to thought. It is very simple though somewhat heavy on adjectives and adverbs. Interestingly, though, we have gone from, "nor does it entitle us to do as we please" to "We will not apologize for our way of life." Instead of using the word "terrorists" he says, "Those who seek to advance their aims by inducing terror." That is a striking circumlocution to avoid the word. "For we know" implies a connection to the preceding paragraph which in fact is absent. The strength from being of "patchwork heritage" is a strength, but cannot be the only strength by which the enemy will be defeated. The disconnect is more clear if you remove the pause: we will defeat you because (for) we know that our patchwork heritage is a strength. The "we know" makes the syntax and sense more awkward since it ought to read we will defeat you because (for) our patchwork heritage is a strength. We couldn't defeat them if it were a weakness? Obviously he is trying to say that diversity is a virtue but has struggled to work it in. He identifies not our present differences but past differences as a strength. Where he once drew distinctions between earlier generations and present, now he uses "we" to describe both: earlier generations faced down fascism and communism but we all tasted the bitter swill of civil war. "Bitter swill" and "shall" are clunky usages designed to make the paragraph feel more grand and formal. To the Muslim world, we seek a new way forward, based on mutual interest and mutual respect. To those leaders around the globe who seek to sow conflict, or blame their society's ills on the West -- know that your people will judge you on what you can build, not what you destroy. To those -- To those who cling to power through corruption and deceit and the silencing of dissent, know that you are on the wrong side of history; but that we will extend a hand if you are willing to unclench your fist. He now addresses other groups but does not say much. He offers no judgments of any kind, simply saying they are on the "wrong side" of history. The "fist" image is terribly cliche. As we consider the road that unfolds before us, we remember with humble gratitude those brave Americans who, at this very hour, patrol far-off deserts and distant mountains. They have something to tell us, just as the fallen heroes who lie in Arlington whisper through the ages. We honor them not only because they are the guardians of our liberty, but because they embody the spirit of service; a willingness to find meaning in something greater than themselves. And yet, at this moment -- a moment that will define a generation -- it is precisely this spirit that must inhabit us all. More standard images: an unfolding road, far-off deserts, distant mountains. "That" figures so strongly in all of these constructions it now seems a sort of crutch. Why does he use "And yet. . .?" What contrast is implied? Again a simple sentence without some preparatory phrase would have been more effective: This spirit must inhabit us all. Some much needed specific examples if somewhat crudely written. "Willingness to nurture a child" is an odd turn of phrase designed to make the parent's sacrifice seem honorable when in fact it makes it seem optional. Our challenges may be new. The instruments with which we meet them may be new. But those values upon which our success depends -- honesty and hard work, courage and fair play, tolerance and curiosity, loyalty and patriotism -- these things are old. These things are true. They have been the quiet force of progress throughout our history. What is demanded then is a return to these truths. What is required of us now is a new era of responsibility -- a recognition, on the part of every American, that we have duties to ourselves, our nation, and the world, duties that we do not grudgingly accept but rather seize gladly, firm in the knowledge that there is nothing so satisfying to the spirit, so defining of our character, than giving our all to a difficult task. This is the simplest, clearest, most specific, and best passage in the speech (aside from the use of the word "instruments.") It is still somewhat rough, though, as the change of structure from "those values. . ." to "these things" is somewhat cheesy. "What is demanded" is awkward and not vivid enough. This was the prime spot for a striking, defining, image of the "moment that will define a generation." This is again a little vague. How can what he just said "mean" liberty? What creed? The first "this is the price" refers to the preceding paragraph. The second refers to the "knowledge that God calls. . ." What does this one refer to? Again, this simple passage is among the best. The images are very traditional, the sentences are very short. It paints a picture which would have been much more effective at the beginning to build on and draw comparisons to rather than to lead up to. It also would have provided a vivid image which would have hovered over the whole speech. What may we say in general about this speech? 1) it is quite light on figurative language or elaborate syntactical constructions. 2) The periodic length is very short and thus the ideas are easy to follow. 3) There are very few details, examples, or specifics. 3) He does not address critics. 4) There are a lot of weak verbs like "are" and "is" which are lost opportunities to be more specific and more vivid. 5) clauses are heavily dependent on the word "that" for clarity. 6) the vocabulary is limited, simple, common, and bland. 7) There is an overabundance of adjectives. In particular, the "weak verbs" are problematic since they rob the speech of intensity and variety. Consider the phrase, "they have something to tell us" which is completely indistinct. Perhaps it could have read, "the soldier's sacrifice inspires the civilian. . ." Too "we are ready" might read "we stand ready." "They have been the quiet force of progress throughout our history" would be stronger if stated as a truism (the rhetorical term is dilation, i.e. broadening the theme to include universal ideas) and 1) more tersely, 2) in grander fashion, or 3) with an image or example. 1) These private virtues make men–and nations. 2) The world moves not only through grand leaps captured by newspapers and recorded in books but also, more I think, through the silent virtues of decent men. 3) The triumph of today's hero might move the world for an hour, but the unprofitable, unseen, and unknown virtues of Americans move us day by day. These are a but a few phrases which are bland and difficult to breathe life into.Let us compare this speech to one from the Founding Fathers President Obama mentioned. 1) Varied, [More] Complex, and Vivid Vocabulary: vicissitudes, predilection, immutable, despondence, transcendent, disinclination. 2) Longer Periods: The whole paragraph is only five sentences and is one thought. 3) Specific, Eloquent, and Memorable Turns of Phrase: vicissitudes incident to life, fondest predilection, flattering hopes, immutable decision, asylum of my declining years, the addition of habit to inclination, distrustful scrutiny, overwhelm with despondence, faithful study, grateful remembrance. The first sentence is a brilliant introduction beginning with a vast concept, "the vicissitudes incident to life" and then inserting himself among them. The following sentence is a poetic and beautiful way of describing the call to service, "I was summoned by my country, whose voice I can never hear but with veneration and love. . ." It is also reminiscent of Demosthenes' First Olynthiac, "The present crisis, Athenians, calls on you, almost with an audible voice"  a passage which President Obama could have quoted nearly verbatim. Washington's opening also is a clear exordium, or introduction, in which he clearly sets out his point with another Demosthenic device, the phrase "on the one hand. . . on the other." He also, a la Demosthenes, nests other clauses within the "one the one hand. . . on the other" structure. Among other virtues, this construction creates a large scale structure which alleviates you from have to make and link many smaller sentences with kludges like "Yet" "every so often," "at these moments" "for. . ." "that we are" which are wasteful insofar as they add nothing, grow wearisome to the ear, and break flow. . . .there is no truth more thoroughly established than that there exists in the economy and course of nature an indissoluble union between virtue and happiness; between duty and advantage; between the genuine maxims of an honest and magnanimous policy and the solid rewards of public prosperity and felicity; since we ought to be no less persuaded that the propitious smiles of Heaven can never be expected on a nation that disregards the eternal rules of order and right which Heaven itself has ordained; and since the preservation of the sacred fire of liberty and the destiny of the republican model of government are justly considered, perhaps, as deeply, as finally, staked on the experiment entrusted to the hands of the American people. It is not so different from President Obama's in several respects, is it? Washington's passage is one sentence of smoothly rising tension to a climax, building from an asserted universal truth that duty and advantage go together and ending with the ultimate arbiter of success: the American people. His vocabulary is firm: thoroughly established, indissoluble union; bright:magnanimous, prosperity, felicity; and grand: liberty, destiny. He also invokes the sacred with subtlety and elegance not by quoting it but by adopting its vocabulary: Heaven itself, ordained, and sacred fire. The images are also visual: smiles of heaven, fire of liberty. He does not say values as if values may differ, but instead he says truths and thus doesn't have to double back and waste words to add, "these things are true" as President Obama does. What President Obama says obliquely with "What is required," Washington unabashedly ascribes to the divine, "Heaven itself has ordained." For Washington the "destiny of the republican model" is in the people's hands and for Obama the people have "a difficult task." This passage from President Obama's speech is not at all bad, but its vocabulary is dull and its lack of structure imposes awkward phrases and transitions. Clearly the speech attempts to mimic Washington's in several respects and the last sentence in the selection is not so far from succeeding. It seems prudent first to consider what this occasion calls for in a speech. The Presidential Inaugural Address is, to use Aristotle's categories, part political and part epideictic. That is, it is partly concerned with urging a particular course of action and partly concerned with esteeming something. (See Rhetoric I.iii, 1358a.) The speech fails as a political speech on account of its vagueness. It conveys no course of action on which one can deliberate and it does not attempt to persuade. It can be an effective course not to present the ideas of your opponents, as this speech does, but the course you do suggest must be all the more clear. As Aristotle says, (Rhetoric I.ii, 1357a) the duty of rhetoric is to deal with matters for which we have no arts or system so guide us and which seem to present us with alternate possibilities. The job of the speaker is to make clear and appealing a particular course of action. Too, it would rhetorically have been effective to concede a point, perhaps to re-frame it or to use its truth to his advantage, or simply to appear magnanimous. As a ceremonial speech it is more successful because it praises the American way of life, though as we saw in contrast to Washington's speech it is vague and bland. It is more successful as an epideictic speech when it simply extols the virtues of "loyalty and patriotism" than when it attempts to be grand, e.g. "Guided by these principles once more" "hatreds shall someday pass." In addition to the fundamental nature of the Inaugural Address we ought to consider the circumstances of January 2009 when it was delivered. Most notable among the circumstances was the economic crisis. Part of any speech delivered that day would be to assure the people that they chose the right president and give them a way forward. We ought to dwell a bit longer on Aristotle who noted (Rhetoric I.ii) that three modes of persuasion exist: 1) of the personal character of the speaker, 2) putting the audience in a particular frame of mind, 3) proof or apparent proof of the words themselves. We pass over evaluating the first aspect since such would be an overtly and exclusively political analysis. We have also observed that the speech does not address specific points of policy, thus it does not attempt to prove anything (mode 3.) The only mode remaining is that of putting the audience in a frame of mind. The speech certainly seems to be of this nature as it attempts to paint a situation of a new beginning and a fresh start. In this respect the speech's lack of argumentation is not a weakness and it somewhat succeeds in getting the audience to put things out of their minds. For a speech of this nature, though, the lack of attractiveness of the prose and the lack of structure (which would amplify the euphoric feeling it attempts to generate) are severe detriments. It needed to paint two vivid pictures: one of the past and one of the present. The speech did not do this. With such strengths and flaws I cannot see how someone who was not already in favor of President Obama could have been persuaded by the speech. (Consider for yourself "Mode 1" mentioned above.) It simply does not seem designed to win over critics. The plans it presents are not specific enough even to acknowledge as plans, the praise is not specific enough to endear, it is not grand enough to impress, it is not beautiful enough to captivate, and there is no attempt to persuade by argument. Too it does not succeed in developing a clear, plain style, a grand style, or a moderate one. Aristotle at the opening of the Rhetoric identified the craft as that which utilizes the best of the available means of persuasion. The author of this speech would not seem to have availed himself of the potential means. It is easier to say whether or not a speech is a good piece of literature than it is to say whether it accomplished its aim. As a piece of literature I think it is clear this speech is competently written but unremarkable, certainly not "worthy of marble." It pales in all respects before the great Classical speeches. It is seen to be rather limited in expression. It clearly expects less of its audience, and offers less, than Washington's. Was President Obama's Inaugural Speech successful as a political speech? I'll leave that for others to argue. Personally, one might consider the following: What do you remember about it? What did it persuade you of? What did it cause you to do or not do? On many occasions, men of Athens, one may, I think, recognize the manifest favor of heaven towards our city, and not least at the present crisis. You may wish to read the speech here at the Perseus Project, which has both the original Greek and an English translation. This opening is a marvel of compression and clarity. The Greek is pleasing to the ear but not distractingly beautiful or poetic. It is perfectly balanced in tone, neither pedestrian nor highfalutin. It moves clearly from the past to the future, not only moving from past fortune to present crisis but also subtly intertwining the ideas. It makes you want to hear the argument to come. That's the power of but one sentence of Demosthenes and that's the standard for being "worthy of marble."